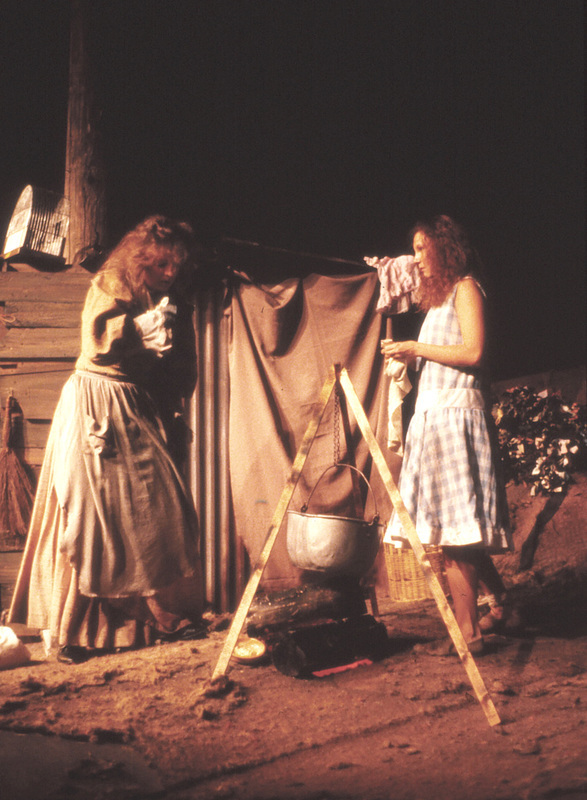 This production of MOTHER HICKS was staged in the Pardoe Theatre at Brigham Young University. 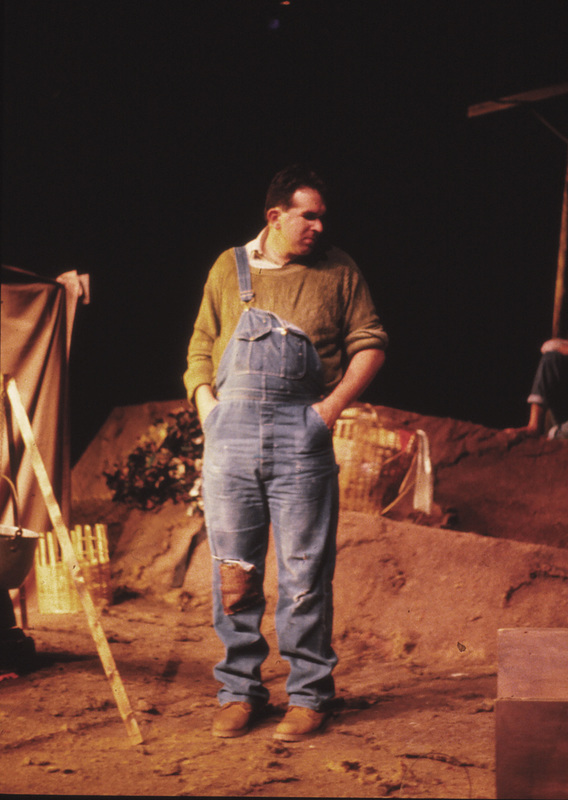 David Morgan directed the piece with many tableau moments for the characters. 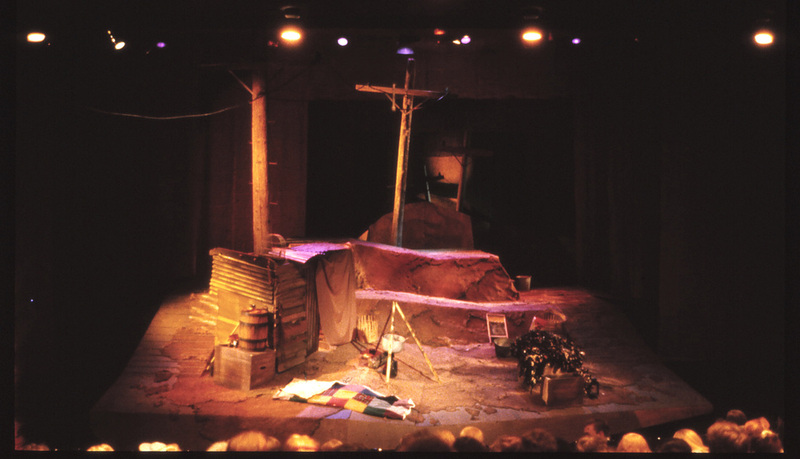 He wanted a layered, vertical movement to the show since these people all lived on the side of a mountain. The lighting tried to sculpt the characters out of their rough environment with high angles.